I’ve been spending a lot of time on the treadmill. Normally, I don’t mind treadmill running in the least bit…but with all the snow we’ve been getting I think I’m succumbing to cabin fever. 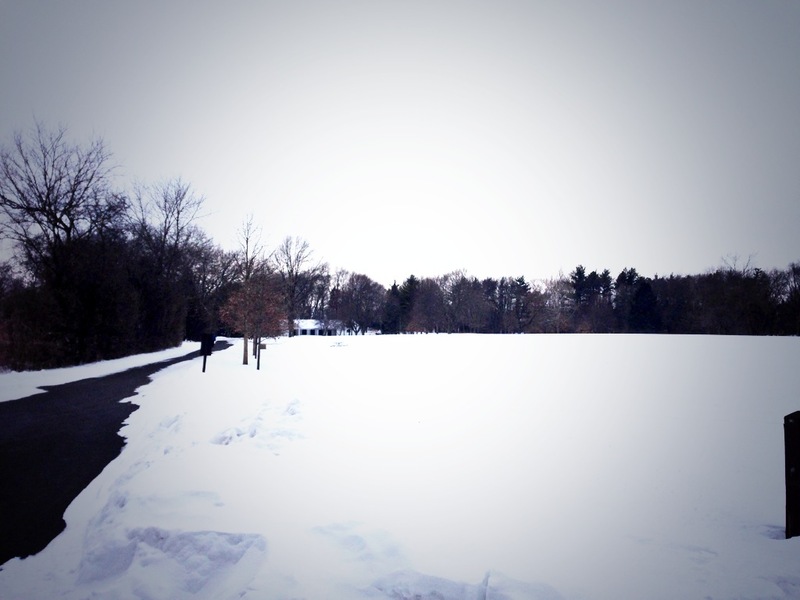 Yesterday I needed to go for a run (not want, there was a definite need for a run…ever feel that way too?) and the idea of hopping on that hamster wheel was a no go. So I layered up and took to the roads. First I navigated a half mile stretch of sidewalk that hadn’t been shoveled all winter. It runs along the side of a four-lane highway. So unfortunately the option of running on the road wasn’t a safe one. Luckily there have been brave souls before me who created a packed snow path. The going was slow, but my ankles are in tact and I didn’t fall once (count it as a win). The neighborhood where I frequently run has sidewalks, but they were in pretty icy condition. Instead I ran on the road, and luckily there weren’t many cars to contend with. 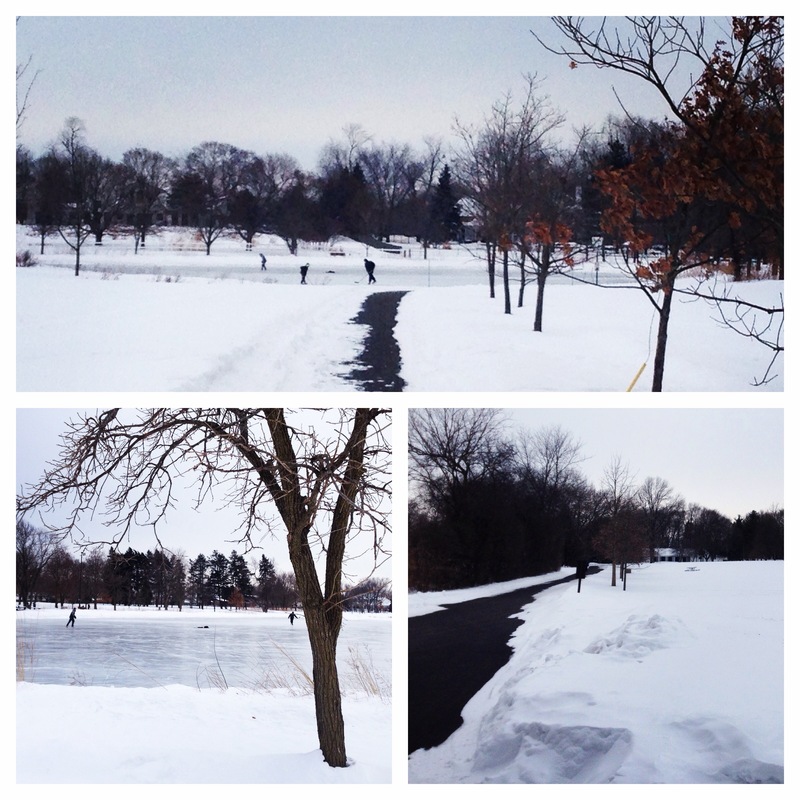 About 2 miles in I came across one of my favorite parks – Seven Gables Park. I thought to myself that there’s no way the paths are clear, but to my surprise I turned in and saw 2 miles of clear open trails. It was such a pleasant surprise, like finding a 5 dollar bill in your pocket, or coming home and seeing that Hubs already did the dishes…score! I saw little kids in bright snow suits playing on the jungle gym, one fellow runner, possibly the Abominable Snowman and even ice hockey players on the pond. Hubs grew up in NH and is used to seeing people skating on frozen ponds and lakes, but this is something that’s still a novelty to me. I totally creeped on the skaters and snapped a few pics. I did realize yesterday (mid run) that my outdoor running apparel could use an upgrade. Here are some items I have my eye on! What’s on your running wish list? Good luck out there for those of you in the cold! I run with Yaktrax pro and I highly recommend them! It’s amazing what a difference a little traction makes on the snow/ice.